Window Interiors is honored to be included in ENR Southeast’s list of Top Specialty Contractors for the second year in a row. Companies were ranked based on their 2016 regional revenue. Window Interiors was ranked No. 81 among some of the best in the industry. The recognition is the latest in a series of honors for Window Interiors. 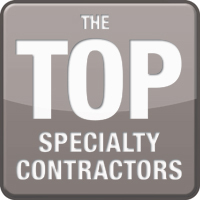 The company was also placed on the Orlando Business Journal's Central Florida Specialty Contractors list and was awarded the Associated Builders and Contractors Subcontractor Award of Excellence last year. To see the full ENR Southeast 2017 Top Specialty Subcontractors list, click here.